Six months had gone by since their break up. This day would have been so different had he been with her. He had moved away from her life & so did celebrations. There would be no playing with the cake, no special treats & no gifts. This day would also be spent in melancholy & thinking about their time together. Sometimes, it seemed like a dream. What else could be the explanation? They were so much in love & so happy together! Why would anyone want to leave then? Sighing, she opened her mail box to read all his letters.. These were the only proof that their love was real & not just a dream. She was deeply engrossed in one of his mails when her phone rang. It was her best friend calling to wish her a Happy Birthday. Her bestie sensed her state of mind. That’s the good things about friends. You don’t have to speak to tell how you are feeling. Her bestie convinced her to go out with her. It would be a good change she thought. While dressing up, she came across her red lipstick.. Her favourite colour, the colour of happiness for her. It was her quirk. Whenever she was happy she used to put on this red lipstick. 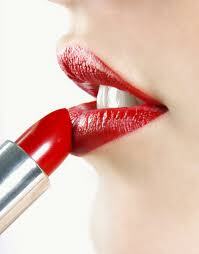 Instinctively she picked up the lipstick & applied to her lips. She was not ready to be happy yet. But she wanted to show the world she was. Would save her from pity & questions which she was not ready to answer yet. He was going through her profile on a Social Networking Site. It had been six months since he saw her. This time apart from her had made him realise how much he loved her. This was a test he had inflicted upon them. He wanted to be sure about their love. He couldn’t afford another heart break. He would now know if Absence had made the Heart grow fonder or was it a case of Out of Sight Out of Mind. His eyes stopped on one of the pics she was tagged in. The pic was taken yesterday on her birthday. His heart filled with love on seeing her smile but his eyes froze when he saw her red lipstick. Everyone knew she wore it when she was happy. He understood what that meant. She had moved on. With a heavy heart he blocked her. Never wanting to see her again. Irony to Perfection It is miss, Can happen with anyone! Anytime! Well written..